The Aeon Award 2004-2005 was the 1st International Aeon Award Short Fiction Contest, a fiction writing competition for the speculative fiction genres of science fiction, fantasy and horror. It ran during 2004 and 2005 and received a large number of entries from numerous countries. The Grand Prize was €1000 and publication in Albedo One. We would like to thank all those who entered and supported the contest. The winning story was announced at Interaction, the 63rd World Science Fiction Convention, Glasgow, Scotland, August 2005. Grand Judge Ian Watson chose as the winning story “My Marriage” by Julian West. The full list of shortlisted stories and their authors is given below. 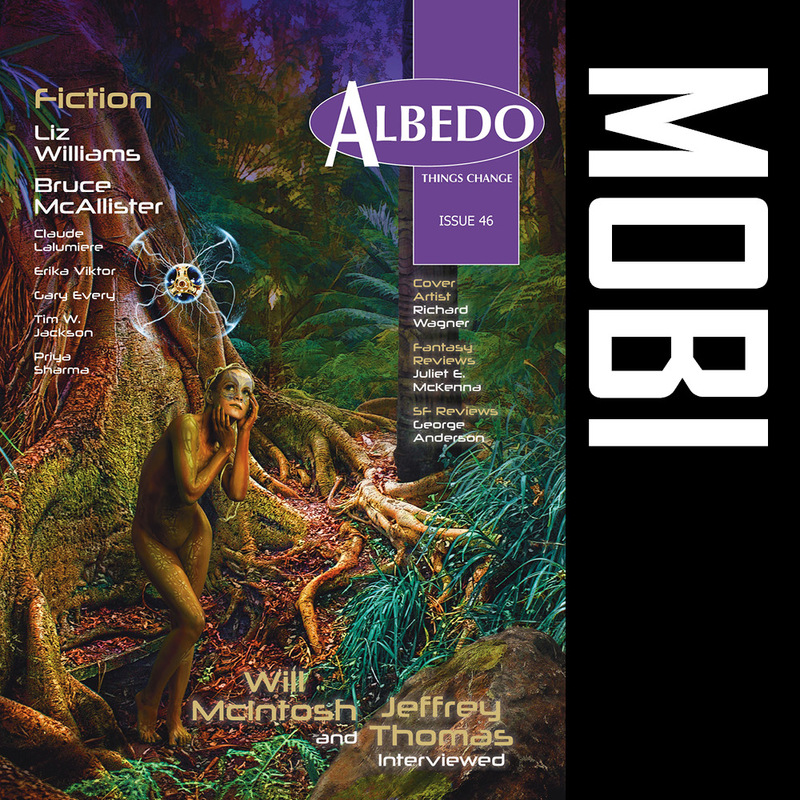 The top six stories, marked with asterisks and listed in alphabetical order, were published in Albedo One, issue 31. 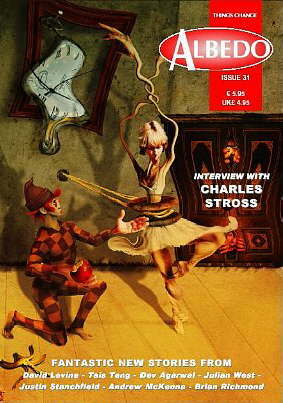 “My Marriage” subsequently also won the €100 Best Story Award for stories published in issue 31 as voted upon by the readers of Albedo One, and was awarded an Honourable Mention in the Year’s Best Fantasy and Horror, 2007, edited by Ellen Datlow, Kelly Link and Gavin Grant. 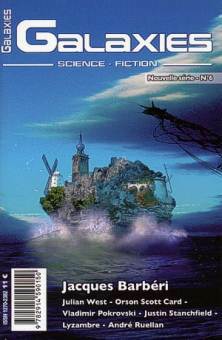 The story was also translated and reprinted under the title of “Noces Océanes” in issue 6 (new series, Autumn, 2009) of the prestigious French SF magazine Galaxies SF, edited by Pierre M. Gevart. “I Hold My Father’s Paws” by David D. Levine was reprinted in the Year’s Best Science Fiction, edited by Gardner Dozois (pictured below, opposite). 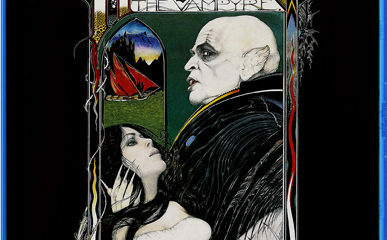 “I Hold My Father’s Paws” by David D. Levine and “Queen of Engines” by Dev Agarwal were also awarded Honourable Mentions in the Year’s Best Fantasy and Horror, 2007, edited by Ellen Datlow, Kelly Link and Gavin Grant. The Aeon Award short fiction contest is all about promoting authors in the fantastic genres who write stories which defy easy classification. 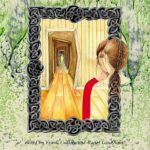 This is what gives it relevance amidst the many SF, Fantasy and Horror writing contests and story awards that seem to encourage writing for – and within – particular pigeon holes. Of course, this relevance remains pure theory unless the submitted stories succeed in escaping easy labeling and have something substantial to offer the reader. 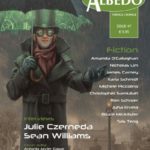 In this issue of Albedo One you will have found the top six shortlisted stories, so you too can be their judge. I hope you were as delighted as our Grand Judge, Ian Watson, and the reading panel were. 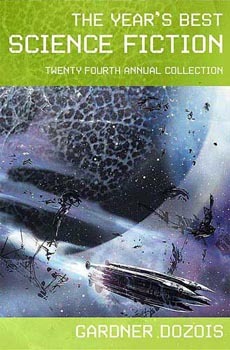 I feel these stories have proven that the high goals which the Aeon Award short fiction contest set itself were met. Thanks to the authors! 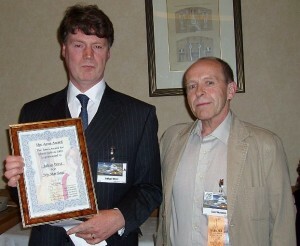 Aeon Award winner Julian West (left) and Grand Judge Ian Watson (right). The Aeon Award Winner was author Julian West, resident in Ireland, for his story ‘My Marriage’. I should explain here that the stories read by Ian Watson did not have the authors name attached, so nationality played no part in selecting the winner. In fact, the top six shortlisted stories came from authors in four different countries. The Aeon Award was presented at a crowded ceremony in the Hilton Hotel, hosted during the World Science Fiction Convention in Glasgow, August 2005. Aeon short-listed authors Dev Agarwal and David D. Levine were also present at the ceremony, in the company of as many people as the hall would hold. The Aeon Award presentation was followed by an equally crowded launch of the latest book from Aeon Press, Emerald Eye, with a word of welcome from Anne McCaffrey and readings by John Kenny and John W. Sexton. The authors are the people who make a writing contest a success, and our deepest thanks go out to the hundreds of authors who submitted their stories. Our thanks are also due to all those people who helped promote the Aeon Award via their sites, blogs, forums or newsletters.